• Assists patients who need help walking or standing. • Establishing and maintaining effective communication with all other health professionals, families, and community. 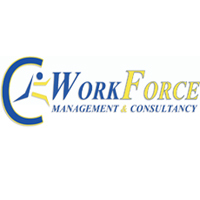 We`re a Human Resource and Management Consultancy company that specializes in area of recruitment & Headhunting, Training & Development, Human Resource and Management Consultancy since 2011. We assist our clients in positive transformation of their Human Resource and Management strategies through improving the quality, performance and efficiency of their approach and people to deliver improved customer experience. We use proven recruitment processes that are strategically aligned with global best practices to assist organizations to hire and retain the best candidates that have the right set of skills and experience to meet their human capital demands.